Nothing beats the sound, smell and power of a steam locomotive in full cry. Drive one of a steam engine on one of the country's most steeply graded lines and find out exactly what these beauties were built for. Begin with a cup of tea followed by a safety briefing. Then, climb up onto the footplate to fire and drive one of the larger locomotives over a breathtaking 20 miles of railway through the Hampshire countryside. Haul a full train of carriages for the entire length of the line, enjoying 10 miles as driver and 10 miles as fireman. And to keep make sure you're fuelled, lunch is included. 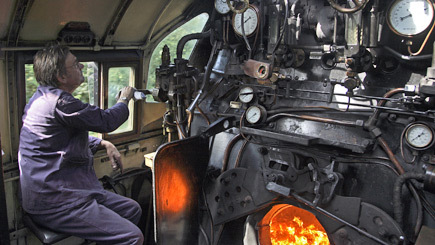 This is the ultimate footplate experience for steam train enthusiasts. 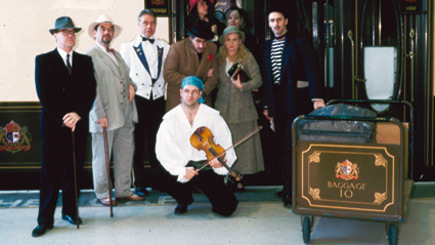 Bring along three guests, to travel in a carriage free of charge and share the ride. At least one Friday per month throughout the year. Please book at least three months in advance for this popular experience. Minimum age is 18. No experience is necessary but participants must be fit enough to climb up to the footplate from ground level. Mobility needs must be stated when booking. The weather should not affect this experience but if conditions are extreme, please contact the station before leaving home. Lasts for around seven hours, from Alresford station at 9am. Share the experience with one other keen footplate rider (take turns at being passenger and firer during the day), plus an experienced crew. Stout footwear and a cotton overall or boilersuit must be worn. Trainers are not acceptable. Dress comfortably in clothing that fully covers the arms and legs. 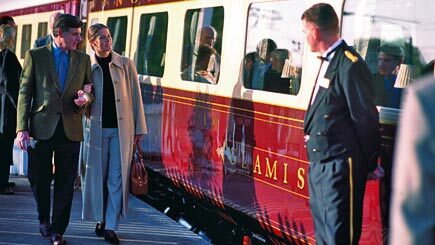 Each participant receives a voucher for one day train travel over the whole Mid Hants Railway (valid for 12 months).